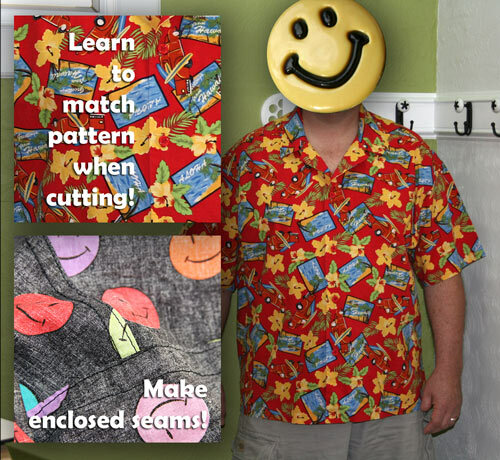 Learn to make a casual "Hawaiian" shirt with professional looking details. Students will be introduced to many of the techniques found only on high-quality shirts, including making convertible collars with a built-in roll, finished seams and hem, perfect pockets and other details. Students will also learn a fool-proof assembly technique for those often pesky shirt collar/bodice seams. Some sewing outside of class time will be required. Students are responsible for purchase of all supplies and appropriate pattern. Supply list and pattern information will be provided upon registration. Group class consists of 4 three-hour sessions. Minimum one-hour mentoring sessions can be customized to focus on specific techniques as requested by the student. Additional work will be required outside of scheduled class time in order to complete the project. This class is a prerequsite for fine shirt making.